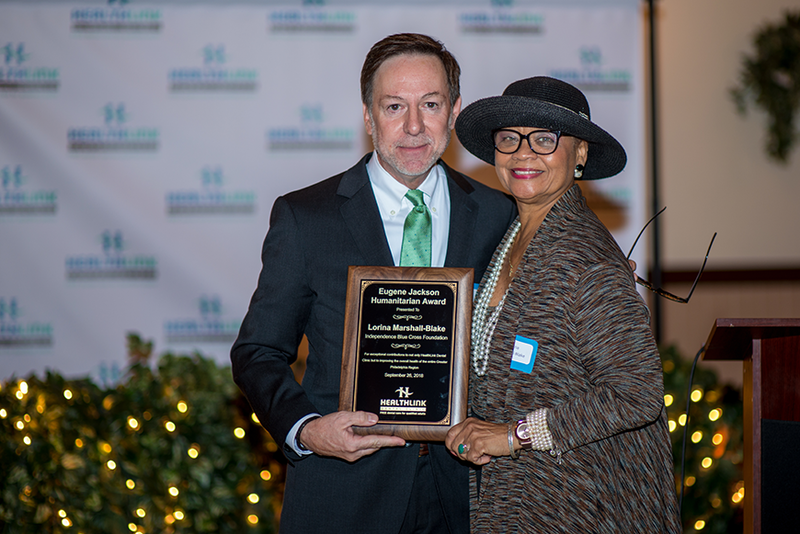 Lorina Marshall-Blake, president of the Independence Blue Cross Foundation, poses for a photo with Rick James, vice president of HealthLink Dental Clinic’s board of directors after accepting the Eugene Jackson Humanitarian Award. Photo courtesy of The Moment Photography. The Independence Blue Cross Foundation (Foundation) and its president Lorina Marshall-Blake received the 2018 Eugene Jackson Humanitarian Award presented by HealthLink Dental Clinic in recognition of their significant contributions to the clinic through the Blue Safety Net grant program and their commitment to the health of the region. HealthLink Dental Clinic is a free dental clinic in Southampton, PA, serving low-income adults and veterans. The clinic provides free preventative and restorative dental services, and oral health education, to qualifying adults in Bucks and Montgomery counties. Marshall-Blake accepted the award, named after the clinic’s founder, at HealthLink Dental Clinic’s annual anniversary fundraiser. This year’s event celebrated over 25,000 appointments provided at no cost since the clinic opened over 15 years ago. According to a recent Blue Cross Blue Shield Health of America report, serious dental health conditions often coincide with increased risk of cardiovascular disease, anemia and other health conditions. 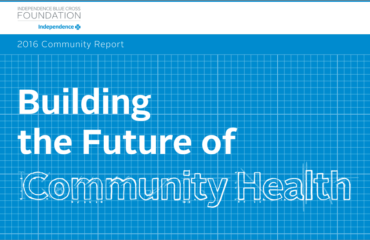 Investing in the oral health of our communities, especially those who are uninsured and underserved, supports the overall health of the region.